Provost lecture series "Art Therapy" by Carol Hammal. Carol Hammal is an AUC graduate who excelled in the information and communications technology world before she made a move to her passion field, studying at the world leading school in art therapy, Drezel University. 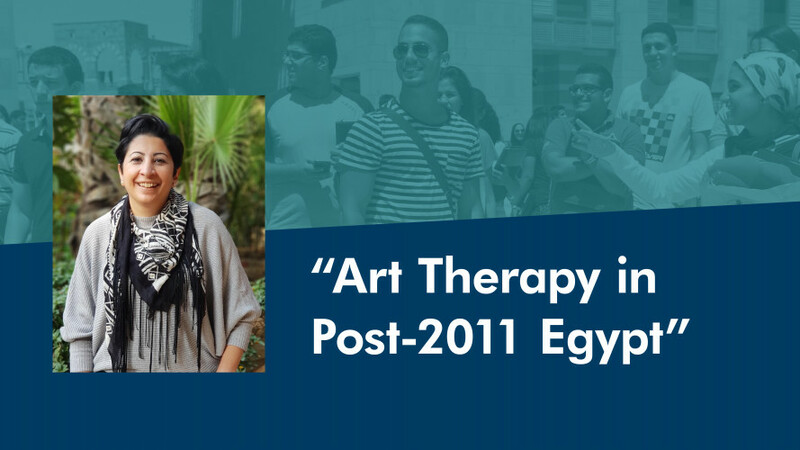 She then established the only qualified art therapy practice in Egypt, which has been running for seven years now. Thanks to Carol's efforts, Egypt has been put on the global art therapy map through Karen Pence, Second Lady of the United States, who came to pay her an official visit earlier this year to discuss the developments of the field here. Pence’s official cause is art therapy and she has been helping to elevate the field in both the US and on a global level since being appointed. In addition, Egypt, represented by Carol, will be featured in the world’s first international art therapy conference in London. The conference will be hosting representatives from all over the world that are seeking to introduce formal art therapy training. This will be taking place in London in July 2019.